The Denver-based book club Crime & Beyond recently discussed the latest book by author B.A. Paris and Kerry Hammond is here to give us the report. Let’s face it, book club meetings are more exciting when club members disagree about the book. If everyone loves a book—or hates it—the discussion can get boring. When the reviews are split you can really delve into a book, and break down the plot and characters. 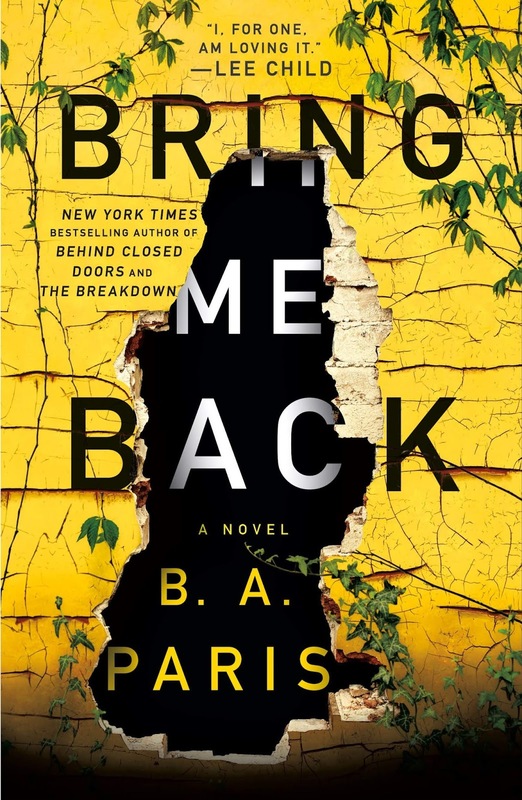 This month Crime & Beyond read Bring Me Back by B. A. Paris. In the book, Finn and Layla are a young couple in love. One their way back from a vacation in France, they stop at a rest stop where Finn leaves Layla in the car while he uses the restroom. When he returns, Layla is gone without a trace. The police investigate her disappearance and possible murder, but can find no evidence and no leads. Flash forward ten years and Finn is now engaged to Layla’s sister, Ellen. Right before the couple is set to marry, someone reports seeing Layla. Finn then starts to receive emails that seem to point to Layla being alive. Finn isn’t sure if it’s true, but if it is, where has she been all this time, and why did she leave? We had a great book club discussion. Quite a few club members liked the book, and an equal number found it unbelievable. We discussed the need to suspend our disbelief to enjoy the story and all of the false trails we were led down before the final reveal. I can’t guarantee that your book club will love the book, but I can say that you will get a great discussion out of it. 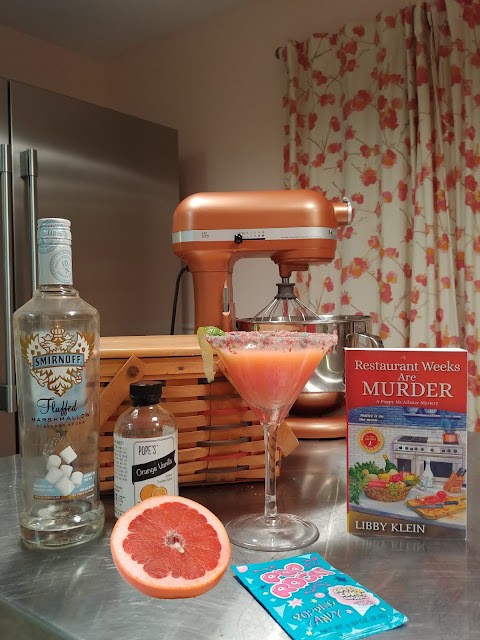 It's Restaurant Week on Drinks with Reads and author Libby Klein says murder is in the air. Libby Klein graduated Lower Cape May Regional High School sometime in the ’80s. Her classes revolved mostly around the culinary sciences and theater, with the occasional nap in Chemistry. She has worked as a stay at home mom, climbing the ladder up the ranks to the coveted position of Grandma. She also dabbles in the position of Vice President of a technology company which mostly involves bossing other people around, making spreadsheets and taking out the trash. She writes from her Northern Virginia office while trying to keep her cat, Figaro, off her keyboard. Most of her hobbies revolve around eating, and travel, and eating while traveling. Poppy McAllister is working hard to transform Aunt Ginny’s Victorian manor house into the Butterfly Wings B&B—but being a professional pastry chef has always been her real dream. For a short time, her dreams seem like they’re coming true as she teams up with her former fiancée, Tim—and his condescendingly perky partner, Gigi—during Cape May’s first annual Chopped style Restaurant Week Competition. Misfortune is dished up with every mystery basket until the panel of judges is served a pinch of murder with a dash of death. Fans of Chopped and all of its spinoffs will be familiar with the mystery basket style cook off. Chefs are surprised with four seemingly random ingredients to test their culinary prowess, and for three rounds they have to serve something fabulous enough to impress the fussiest of judges. Only the best can pull together something delicious out of the madness. The perfect drink to pair with Restaurant Weeks Are Murder should come from a mystery basket. The ingredients don’t make sense at first, but they often have one of every category of Sweet, Salty, Sour, and Bitter. Poppy decided to invent a drink to honor the Chopped challenge, and Aunt Ginny was devious enough to put together the mystery basket. We’ve combined bitter grapefruit and sour lime with sweet Orange Vanilla Syrup and Marshmallow Fluff Vodka. Aunt Ginny thought she would trick us with the Cotton Candy Pop Rocks, but we had the last laugh. Taste testers insist this beautiful pink drink tastes just like birthday cake. If - like me - you’re not much of a drinker, you can make this a Mocktail by substituting one ounce of marshmallow syrup for the vodka. Combine grapefruit juice, vodka, orange vanilla syrup, and ice in a shaker bottle or martini shaker. Shake well. Rim a martini glass with the lime wedge and dip into the Pop Rocks until the edge is covered. They will begin popping and snapping immediately. Pour cocktail into your martini glass and add your lime twist. Enjoy the popping. You can find Libby on Facebook, Twitter , The Cozy Mystery Crew, Goodreads, BookBub, Pinterest, and Instagram. Kerry Hammond is here to review a cozy mystery by a new-to-her author. The Gun Also Rises by Sherry Harris is the sixth book in the Sarah Winston Garage Sale Mystery Series. It was released on January 29, in Paperback by Kensington Publishers. 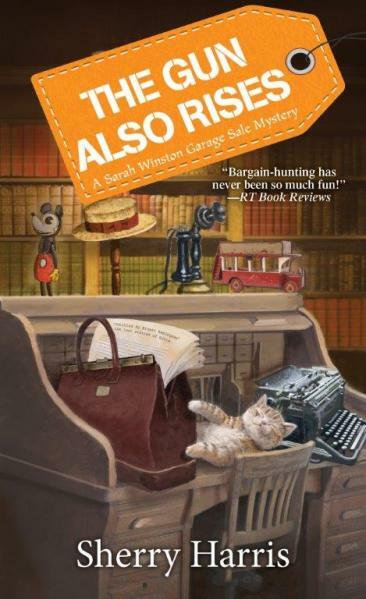 In the fictional town of Ellington, Massachusetts, Sarah Winston owns her own professional garage sale business. She makes a living buying and selling treasurers she finds, sometimes falling over a dead body in the process. In The Gun Also Rises, Sarah Winston has been commissioned by a wealthy widow, Belle Winthrop Granville, to catalog and sell her mystery novel collection. Sarah dives right into the task, searching the attic and finding books in trunks, boxes, and suitcases. When she opens one suitcase, she can’t believe her eyes; she sees what appear to be original pages of text written by Ernest Hemingway. Stories that went missing on a Paris train in 1922. She takes her find to Belle and soon after, Belle is assaulted, the stories are stolen, and Belle’s maid winds up murdered. Sarah doesn’t know who to trust, or where she can hide out from the media storm that descends on Ellington when Hemingway’s name gets out. She is determined to find out who stole the priceless papers, who killed Belle's maid, and hopefully get her life back. I loved the Hemingway angle and the search for the missing papers. Harris writes a good story; I enjoyed the characters and locale as much as the mystery. It’s a perfect book to take on vacation with you, it will keep you entertained but won’t take up too much room in your carry on. This book was provided to Mystery Playground by the publisher. The review was fair and completely independent. You can always find Mystery Playground on Twitter @mysteryplaygrnd and on Facebook. You can also follow the blog by clicking the link on the upper right-hand corner of this webpage. Sophie Hannah has taken a break between Hercule Poirot novels to write a new installment to her own series and Kerry Hammond is here with her review. The Next to Die by Sophie Hannah was released on February 19, in Hardcover by William Morrow. Hannah’s books are always entertaining and I look forward to each new release to see where the author will take me. The Next to Die is the 10th in the Spilling CID series, or the Waterhouse and Zailer series, depending on your preference. However you spin it, Simon and Charlie are married police officers who work for the Spilling police department, handling some of the most psychologically twisted cases you can imagine. In their latest escapade, they are searching for a murderer that the police have dubbed “Billy Dead Mates.” Billy appears to be targeting pairs of best friends, killing them with a gunshot to the head. Before he kills them, he gives them a little white book that contains several blank pages and a line from a poem. 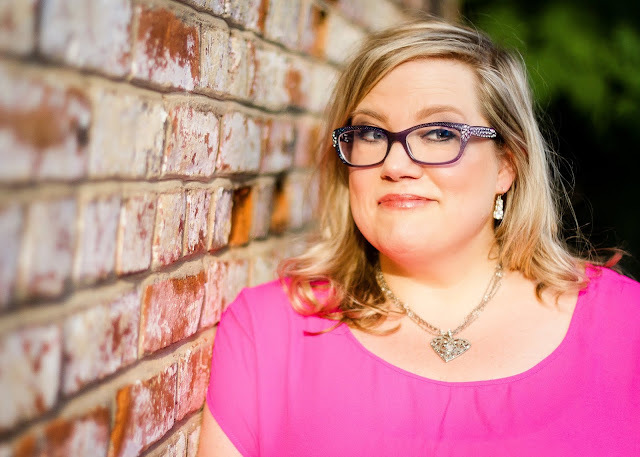 Enter stand-up comedienne Kim Tribbeck; she has received a little white book but she hasn’t been murdered. To make the case even more confusing, Kim claims to have never had, nor wanted, a best friend. Hannah’s stories are wildly imaginative; the plots she dreams up are like nothing you’ve ever read. They’re strange, creative, and highly addictive. Per her usual, she intersperses emails, additional stories, articles, and other bits and pieces of real life in the story. You have to pay close attention as you start her books because she is going to immediately throw quite a bit of information your way—in various forms—and you have to digest it as you go. Stay strong, it’s worth it. I can’t remember the last time I read a book and tried so hard to solve the case. Simon Waterhouse solved it, why can’t I? But as I turned the pages and tried to follow his logic, I was just as clueless as his colleagues. I didn’t get there in the end, until all was revealed, but as hard as I tried to solve the mystery, I really do like it better when I can’t. I’d much rather have a surprise ending. Jim's not a fancy guy. And his choice of adult beverages is no exception. He spends many a hungover morning at the Coffee Girl Diner which had been taken over by a mad vegan and ruined breakfast. The place is across the street from his townhouse so he never bothered to change his routine. Jim Bean stars in the Sin City Investigations books. Yes. Bean. Not Beam. His favorite waitress at the diner across the street likes to send him a zinger about his name occasionally. One particularly rough Sunday morning she switched out the traditional vodka with Jim Beam in his 'hair-of-the-dog' go to and accidentally started a tradition. To go with the fake egg omelets and seventy-grain toast, Jim found the Bloody Beam helps the health food go down. Sandy sticks in a couple of olives and a pickled green beans just to be funny. In a mixing glass muddle the sauces, spices, and basil. Add all remaining ingredients and roll back and forth with ice in a mixing tin. Pour over ice in a glass rimmed with Cajun spice. 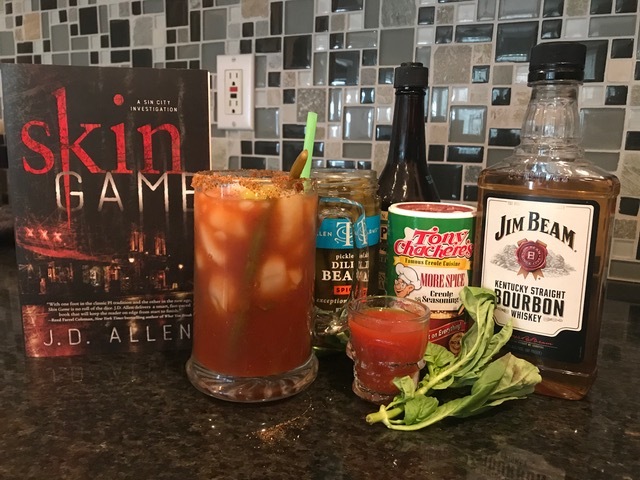 In Skin Game, private investigator Jim Bean has worked hard to create his new identity in Las Vegas. Now his life’s on cruise control, destination nowhere. He’s got clients enough to pay his bills, a cat, and a stash of whiskey and scotch. But life’s not as static as he’d like. His tragic past collides with a dangerous present when ex-fiancé Erica Floyd walks into his investigation. She’s looking for her missing sister. Bean can’t refuse her, and the clues lead him to human traffickers and one of Vegas’ biggest hotel moguls. He’s got to face ghosts of his past, his anger of the present, and a brand new enemy to save four women from a fate worse than death. Fans of domestic thrillers will want to hear what Kerry Hammond has to say about Liz Lawler’s debut novel. Don’t Wake Up by Liz Lawler was published on February 5, in Paperback, by Harper Paperbacks. It is the author’s debut novel and a standalone that takes place in Bath, England. Alex Taylor is a well-liked and capable doctor at the hospital where she works in Bath. She leaves work one evening and the next thing she knows, she’s awake and strapped down to a gurney with a masked surgeon standing over her. She doesn’t recognize the hospital room or the surgeon’s voice, but she is terrified as he tells her what he is about to do to her. When she next wakes up she is fully clothed, with no signs of trauma. But the worst part is that no one believes she was abducted or held against her will. They choose to think that she’s gone off the deep end and has hallucinated the entire thing. 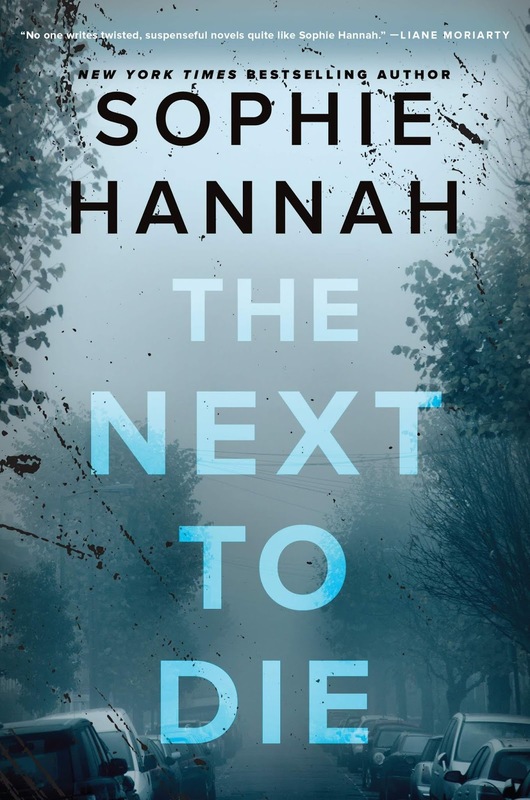 When people around her start dying under mysterious circumstances, the police begin to view her as a suspect, especially one officer, who has made it her mission to prove Alex guilty. 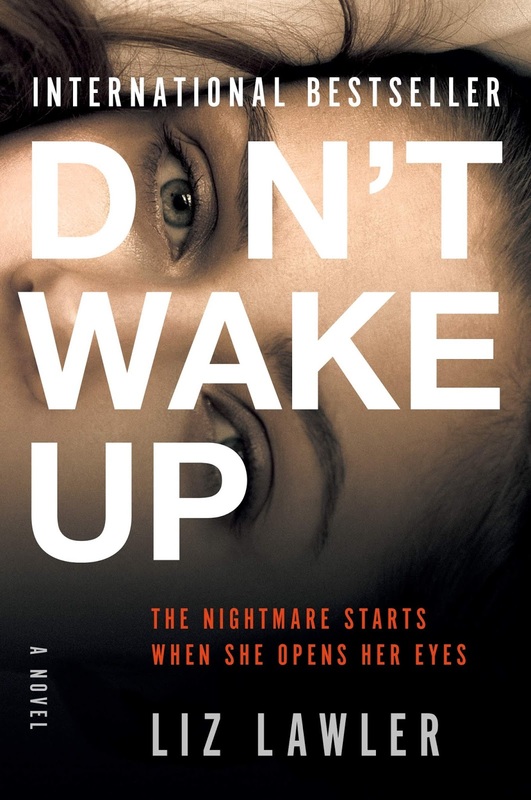 Domestic Thrillers are all the rage lately and Lawler’s book definitely falls into this category. You have a woman who has suffered a traumatic event but no one believes her, she turns to pills and alcohol to help her get through it, and while this is happening she becomes even more vulnerable to the person who is playing with her mind. The author spent more than twenty years as a nurse and her knowledge shows in the story. I will be the first to admit that I read through some of the medical scenes very quickly; if it were a movie I would have closed my eyes. This was a quick read that kept me turning the pages, a good debut and a new author to watch. 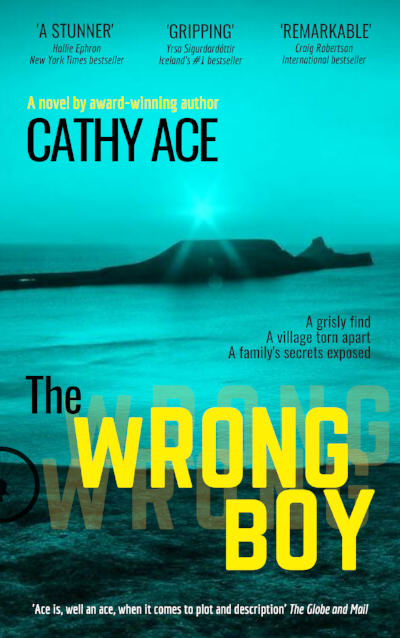 The Wrong Boy by Cathy Ace was released on January 9, in Hardcover by Four Tails Publishing Ltd. Ace is the author of the Cait Morgan and the Wise Enquiries Agency mystery series. The Wrong Boy is a standalone novel featuring about to be retired DI Evan Glover; perhaps a soon to be third series is in the works. In the book, DI Evan Glover is just days from retirement when remains are found in the remote Welsh town of Rhosddraig. Town may be stretching things a bit, Rhosddraig is a small community located on the cliffside in Wales. It’s a place where everyone knows everyone else, and many have a history they don’t want shared with outsiders. The remains found on the clifftop are burned beyond recognition and the police are hard pressed to identify the victim. Glover knows he won’t be able to solve the case before he retires, and leaves it in the capable hands of DS Liz Stanley. But Glover’s assistance is needed to unravel the mystery and catch the killer. What follows is a twisted tale of family secrets and lies, and the lives that they forever change. The story is told from the perspective of each of the key characters; at times it reads like a diary entry and the reader is able to see behind the scenes and into the minds of the characters. Ace creates a dark and atmospheric mystery whose harsh cliffside backdrop has shaped the lives of the people who have lived there for generations. The plot is a twisting tale and the end was a surprise that I found to be quite satisfying. 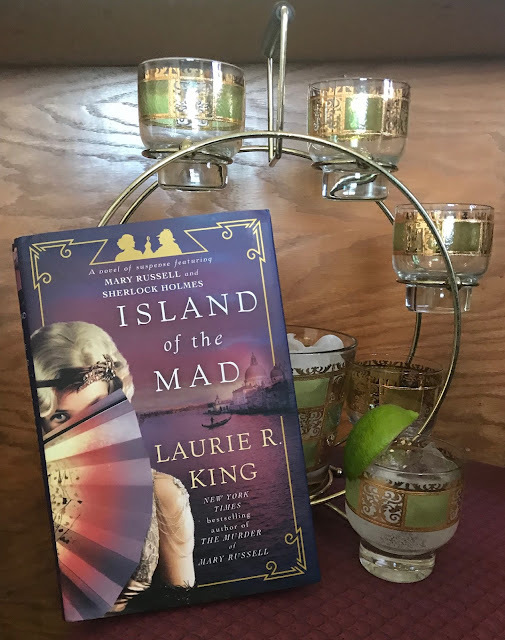 We're matching Laurie R. King's latest in the Mary Russell series, Island of the Mad, with her choice of beverage - a Gin & Tonic and Angostura Bitters. This is one of my favorite series - where the character of Mary Russell matches intellects with her older husband, Sherlock Holmes, as they solve crimes in Victorian England. The series as a whole is great fun and this book in particular. The last thing Mary Russell and her husband, Sherlock Holmes, need is to help an old friend with her mad, missing aunt. Lady Vivian Beaconsfield has spent most of her adult life in one asylum after another, since the loss of her brother and father in the Great War. Although her mental state seemed to be improving, she’s now disappeared after an outing from Bethlem Royal Hospital . . . better known as Bedlam. Russell wants nothing to do with the case—but she can’t say no. To track down the vanished woman, she must use her deductive instincts and talent for subterfuge—and enlist her husband’s legendary prowess. Together, the two travel from the grim confines of Bedlam to the murky canals of Venice—only to find the shadow of Benito Mussolini darkening the fate of a city, an era, and a tormented English lady of privilege. I tried it and it's a fabulous way to have a gin and tonic and it pairs really well with the book. Although, if you are new to this series, you may want to start with the first book, The Bee Keeper's Apprentice. That way you get to see how Mary and Sherlock began their relationship. Author Alyssa Maxwell has a new installment in her Lady and Lady's Maid series and Kerry Hammond is here with her review. 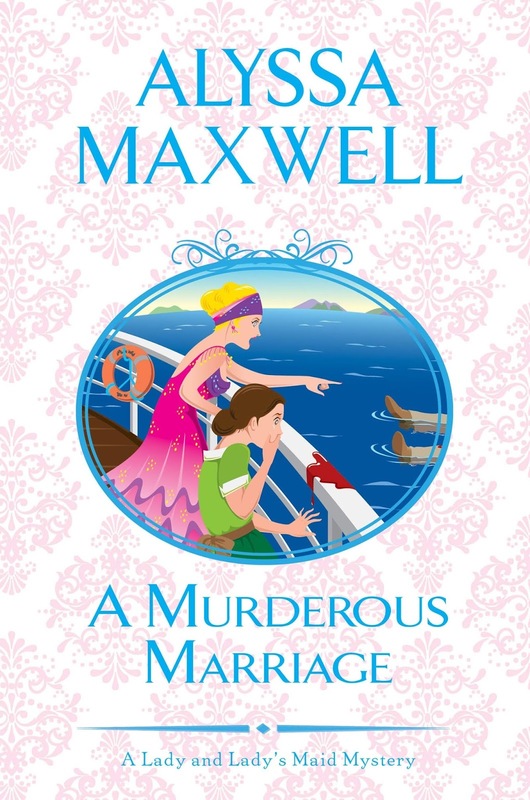 A Murderous Marriage by Alyssa Maxwell was released in Hardcover by Kensington on January 29, and is the 4th book in the Lady and Lady’s Maid mystery series. I’m new to this series and was a little nervous at jumping in at book four, but I can honestly report that I had no problem joining the series mid-swing and was immediately wrapped up in the story. In A Murderous Marriage, Lady Phoebe Renshaw and her maid Eva find themselves knee deep in a murder. The police have a solid suspect, but it happens to be Phoebe’s sister, Julia. Julia has just married Gilbert Townsend, a wealthy man who is 40 years her senior and Julia now stands to inherit his fortune. To make matters worse, prior to the wedding Julia was heard admitting that she was marrying Gil for his money. Phoebe is determined to find the real culprit and saver her sister, and she once again enlists the help of her maid, Eva. I picked this book up and didn’t want to put it down. I fell in love with the characters, specifically Phoebe and Eva. I was transported back to a different era, a Downton Abbey-esque time of British Noblemen and Noblewomen. Maxwell is adept at creating a fictional world where a lady and a lady’s maid work hand in hand to solve murders. The author tells a story of fiction, but the reader is treated to a history lesson along the way. Details of the time are peppered into the narrative and add an extra element to the story. The book is a well written mystery, with both an interesting plot and detailed characterization. I enjoyed the book enough to seek out the three earlier titles and I hope that more are in the works. Kerry Hammond is here with a review of the latest book in one of her favorite series. 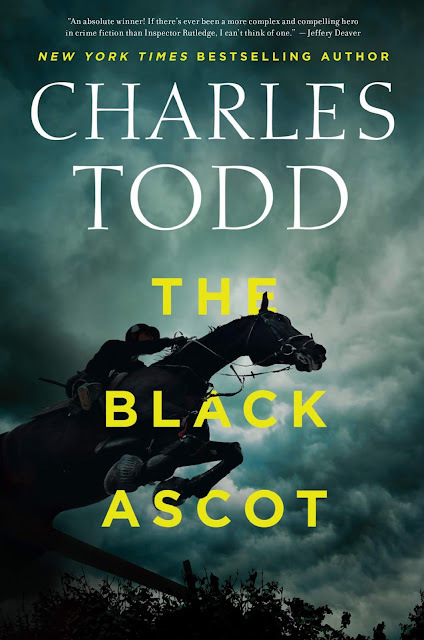 The Black Ascot by Charles Todd is the 21st book in the Inspector Ian Rutledge series and it releases on February 5, in Hardcover from Willian Morrow. Rutledge is a Scotland Yard detective who fought for England in World War I. As with many who served, Rutledge came back a wounded man, but his wounds are not visible to the naked eye. He suffers his demons alone, keeping his shell shock as much to himself as he can. He tries to lose himself in his work and uses it to cope with his condition. The year is 1921 and the detective’s most recent case involves a re-evaluation of an investigation that has gone cold. Ten years earlier, Alan Barrington was accused of murder. Rather than face the noose, Barrington fled and hasn’t been seen or heard from….until now. A sighting of the fugitive causes Rutledge to delve into the original investigation and examine the witness testimony. His keen eye soon notices discrepancies and inconsistencies in the evidence, and Rutledge is determined to discover what really happened all those years ago. I am a huge fan of the Ian Rutledge series and have been reading from the very beginning. Each time I proclaim a book my favorite in the series, the authors go and write a new and even better one. The Black Ascot is definitely up there as one of the best. It’s just the sort of mystery that I love, enough of a puzzle that I can’t wait to get to the end to see how Rutledge pieces it all together. The series is by no means a fast-paced thriller, rather the authors take their time and the reader learns of the murder and subsequent investigation piece by piece, right alongside our detective. These books aren’t about violence, they’re about secrets, and that's why they're so entertaining. I enjoy the writing style and the authors’ ability to transport the reader back to the early part of the 20th century, at a time when England was still recovering the loss of so many brave soldiers. A quick read of the Acknowledgments in the books will tell you a bit about what inspired each installment. There is usually a village, castle, or event that creates a nugget of an idea for the authors. With that nugget, a mystery is created. It adds even more to the story for me to know that one of the locations or residences actually exists and that it was used as part of the story. As a side note: these books can be read independently or in order from the first in the series. TK Starr is here with us today paying homage to one of her favorite audiobook stars, Katharine Kellgren, for a special Drinks with Reader standing in for Drinks with Reads. Katharine Kellgren was indeed a painter. But her artistry did not involve a brush. Instead, her voice was the tool with which she sketched a scene, layered a character, or colored a mood. A good storyteller will ensure you “get” the story, a great one will move you, but a Master will make you part of it, taking you so far into the story’s world that you may never leave. Katherine Kellgren was a Master. She passed away far too young on January 10, 2018. I came to know Ms. Kellgren’s talents through the Royal Spyness series by Rhys Bowen. It was a hopeful Hail Mary choice for a long car drive. Choosing an unknown for travel is risky, as a poor orator can ruin even the best story and make a long commute miserable (been there, suffered that). But since I knew I had a back-up, an Agatha Christie narrated by Hugh Fraser, the very dependable and much beloved Captain Hastings, I took the chance. I needn’t have worried. Within the first few minutes of Spyness, I was hooked. The Spyness series itself is quite well-written (see my review of “Malice in the Palace”, Mystery Playground, Drinks with Reads, November 13, 2015), but the writing was not what initially captivated me. It was the life breathed into the characters by Ms. Kellgren that drew me into Lady Georgiana Rannoch’s pre-WWII Britain and held me there. She had a wide creative range easily shifting from male to female, cockney to aristocratic, young to old as well as an expert command of context and rhythm. Her creamy inflections and smooth cadence made the story an easy ride. I was so into the series by the end of Book 1 that I downloaded Book 2 for the return trip (sorry Captain Hastings). The later Spyness books had Ms. Kellgren stretching her vocal abilities even more with Russian, German, Spanish and various American accents (among others). It may seem a bit much to be gushing about how well Ms. Kellgren “got” British accents, since, after all, she was British, right? I certainly thought so. But she wasn’t! Katherine Kellgren was born and raised in New York City. She did, however, study and perform in London. After many years she returned to the U.S. and settled into voice acting. Over her career, Ms. Kellgren narrated over 250 books of all genres set in a myriad of locations. There are several young adult series (a favorite of hers), romances, general fiction and even non-fiction (see link to Audible list below). Now, is it true that, for example, Lady Constance in the Incorrigible Children of Ashton Place sounds a bit like Belinda in Royal Spyness? Of course. Ms. Kellgren was brilliant, not limitless. But it doesn’t matter. Each series stands on its own and within each story Ms. Kellgren stayed true, keeping the audience inside the tale with her. I’ve experienced an expansive array of narrators and audiobooks over the years, the result of a daily 80-mile commute and regular cross country trips. Most readers were fine, many excellent. 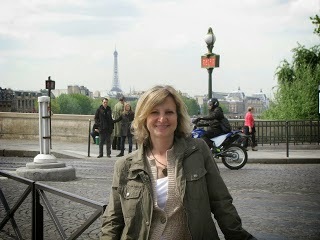 But Ms. Kellgren stands alone for making characters, settings, and eras come alive as no other. I’ve even chosen books, such as The Physick Book of Deliverance Dane or Every Secret Thing, simply because Ms. Kellgren was the narrator. So, no matter how talented the new narrators for any Kellgren series, such as Spyness, will undoubtedly be, I will still “see” Georgie, Darcy, Queenie and the rest as Ms. Kellgren originally painted them in my mind. Her artistry abides. It’s just the way of a Master. Ms. Kellgren’s official obituary can be found here and here is a list of Ms. Kellgren’s 250 plus audiobooks. Although this is usually Drinks with “Reads”, this week it’s Drinks with “Reader“ in honor of Ms. Kellgren. 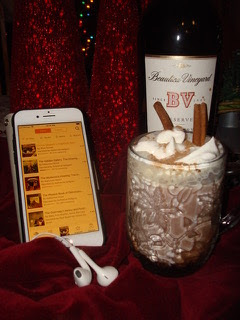 What could be better on a wintry February night than rich hot chocolate mixed with sultry red wine and spiced with cinnamon. Take a mug (or two), settle in the easy chair, put on the headphones and get ready for an adventure. I don’t think you’ll be disappointed. Whisk the chocolate, cocoa powder, sugar, and cinnamon together in a large saucepan. Add the milk product and bring to a simmer over medium heat, whisking occasionally, until hot and smooth, about 5 minutes. Stir in the salt. Remove from the heat and add the wine. Garnish with a cinnamon stick and a dusting of cocoa powder (or whip cream or mini-marshmallows), if desired, and serve.